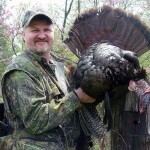 John’s Note: Tracy Groves of Sykesville, Maryland, is the Regional Pro Staff Director for Mossy Oak’s Turkey Division and enjoys hunting turkeys on public lands. 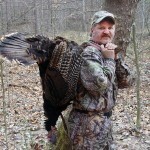 A licensed minister, he’s also the host of the “Real Deal” TV show on the Sportsman’s Channel for several years. 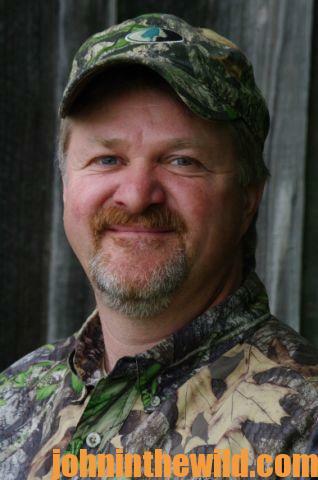 He’s founded a camp, Heartwood Outdoors (http://heartwoodoutdoors.com), to take youngsters from single-parent families hunting to teach them outdoor skills and to work with special-needs children. If you’re hunting turkeys on public lands, you’ve got to commit to hunt the turkey on his time, not on your time. Your best tool is patience. 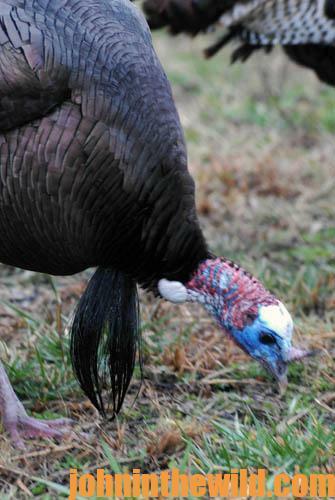 Public-land turkeys receive a lot of hunting pressure, and they don’t like it. The average public-land turkey hunter will listen for a turkey to gobble, move within 100 yards of that turkey, and as long as a turkey is gobbling, the hunter will keep calling to him. 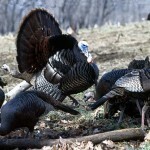 But, when the turkey doesn’t gobble back to his calls, the hunter usually will wait 10 to 15 minutes and then go home. However, on many of my hunts, I’ll sit in the same spot for 3-1/2-hours, waiting on a gobbler to come back to me. I was hunting on public lands in New York one year and had a special guest with me. I hunted this one gobbler for 4-straight hours. We moved perhaps 20 or 30 yards, but we never left that area. We would soft-call and move 20 or 30 yards and then soft-call again. 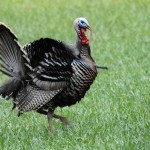 If you listen to a wild turkey hen, you’ll notice she doesn’t call loudly at all. The hens call very-softly and low and do a lot of clucking and purring. When they yelp, they yelp very quietly. I call so softly, that if there’s another hunter 50-yards from me, he’ll probably never hear my calls. 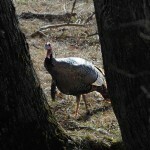 But, a turkey can hear that soft calling, even if he’s 100- to 150-yards away. 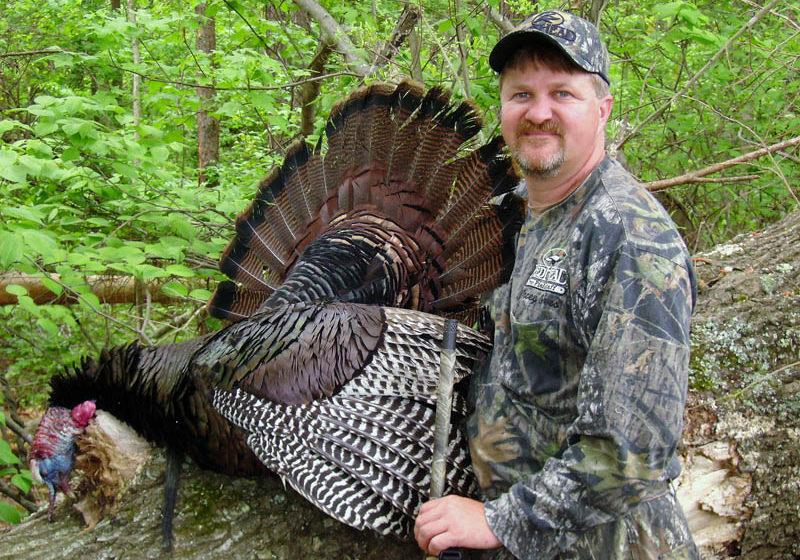 So, the first secret to taking a gobbler on public lands is to call softly and to be patient. One of the rarest calls a wild turkey on public lands hears is soft-calling. Most hunters believe that the louder they call, the more ground their calls will cover, and the more turkeys they can touch with that calling. However, you need to understand that all the turkeys on public lands have heard loud, aggressive calling from the day turkey season has opened, and they quickly have learned that that style of calling isn’t natural and represents danger to them. They also have learned that the faster they go to loud calling, the chances dramatically increase that at some point they’ll have lead in their heads. So, don’t call loudly, and plan to stay at least 30-minutes longer than you think you need to when a turkey stops gobbling. You’ll see your success ratio go up dramatically. Another big mistake turkey hunters make on public lands is they use owl hoots to locate gobblers. Now, let’s pretend you’re a turkey on the opening weekend of turkey season, and you’ve decided not to gobble until after daylight. You’ll hear a car come down the road, stop, a door slam, a series of owl hoots, and after about 30 seconds, the car door slam again, and then the car start-up and move down the road. So, you don’t have to be a very-smart turkey to know that if you hear a car door slam, followed by an owl hoot, there’s a pretty-good chance that owl isn’t sitting on top of that car. Hunters educate turkeys to the fact that when they hear doors slam and owl hoots that more than likely there’s a hunter in the woods. So, when I’m hunting public lands, I don’t use an owl hoot or a crow call. Now, if I’m hunting a large area in Oklahoma where there’s thousands of acres, I’ll use a coyote howler instead of an owl hooter. I’m often asked, “How do you locate turkeys on public lands if you’re not using an owl call?” I spend a lot of time scouting. One of my major secrets for successful public-land turkey hunting is to spend 80 percent of the time I’m in the woods scouting and only 20 percent of my time hunting. I hunt turkeys like I do deer. Turkeys have a daily routine they follow just as deer do. If you can learn where a turkey goes, why he goes where he goes, and what time he’ll show up at different locations, then you really don’t have to call at all. I truly believe if you spend more time scouting public lands than you do hunting public lands for turkeys, you’ll be far-more successful. Now, we all like to hunt a gobbling turkey. But on public lands, I’m convinced about 70 percent of the gobblers come-in silently. I like to find the turkeys to hunt on public lands before the season. I go into the woods at first light and go to the highest point I can find. Then I listen for turkeys to gobble and use my compass to determine the direction from which the gobbling is coming. When daylight occurs, and the turkeys shut-up, I walk in the direction where I’ve heard the turkeys gobble and look for the nearest water to that spot. Early in the morning, the first thing a turkey is thinking about is getting a drink of water. Once I find the direction the turkey will be coming from, and I know where the water is, I next attempt to determine the direction I need to come from to get ahead of the turkeys, before they reach the watering hole. Most turkey hunters overlook several steps when they’re scouting by not pinpointing from where the turkey is gobbling, from what direction the turkey will come from as he flies-down from his roost tree and in which direction the hunter needs to move to get ahead of the turkey, once the tom leaves the roost. One of the biggest mistakes most turkey hunters make is they try to get too close to gobblers still on the roost. Too, I look for hunter traffic when scouting, especially after opening weekend. I’ll search for trash they’ve left on the ground. One other caution is don’t use decoys on public lands. 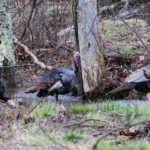 Most turkey hunters don’t have patience, so instead of waiting on a turkey to come to them, they want to try and sneak-up on a gobbler and shoot him. Therefore, if you have a decoy sitting-out in front of you on public land, you may be in harm’s way. For this reason, I don’t use a decoy on public ground. If I’m going to make a mistake on public lands, I’m going to make the mistake of being too cautious. I’m in the woods trying to sound like a turkey. I’ve got Mossy Oak camouflage on, so I’m invisible. The very-last thing I want to do is put a decoy out in front of me that looks like a turkey, to give those hunters walking around something at which to shoot. 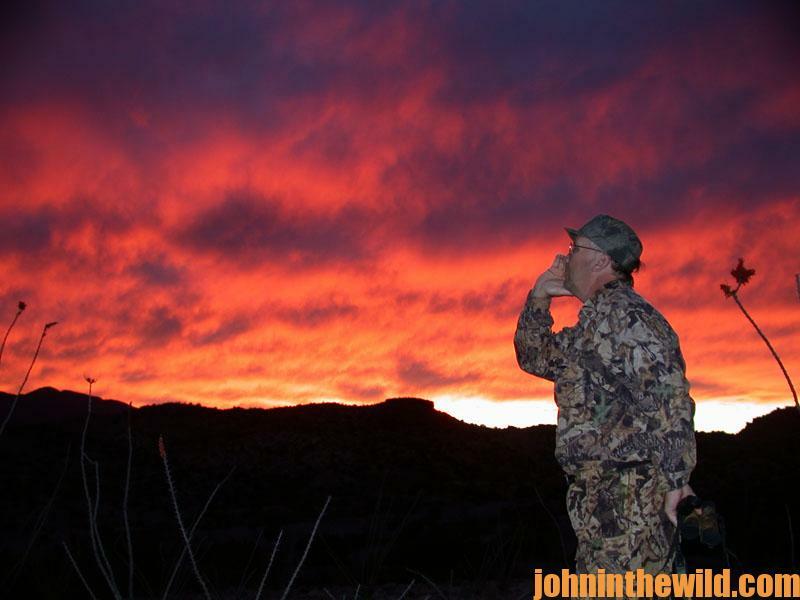 Although I get as far away from other hunters as I can, the reason public lands have their name is because hunters can hunt anywhere they want to on that land. Not all hunters are skilled at looking for a gobbler. So, even if you have a hen decoy in front of you, and there’s a stick in front of that decoy, chest-high, a hunter still may mistake that hen decoy for a gobbler. So, I just don’t use decoys on public land.